SUNNYSIDE, Wash. — C. Speck Motors is celebrating 100 years in business this month, the Tri-City Herald reported today. 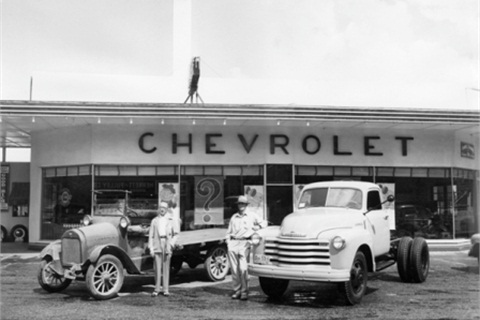 Now in its fourth generation of family ownership, C. Speck Motors was founded in 1912 by Clayton Speck. The operation is currently being managed by Katy Speck Moore and JP Moore, according to the dealership's website. The two-store operation currently operates Speck Hyundai in Pasco (Wash.) and Hall Chevrolet in Prosser (Wash.). Both stores are planning special events this month to commemorate the centennial anniversary, the newspaper reported.